In my previous haunted house owner and operator life, I can remember watching social media numbers climb daily, and I’d monitor the pages with the expectancy of a soon-to-be-father watching the fetal monitor during his wife’s active labor: Is that a new follower? Are we reaching the goals I set for us? First 1,000 then 10,000, now more! We are almost there!! Go! Go! Go! 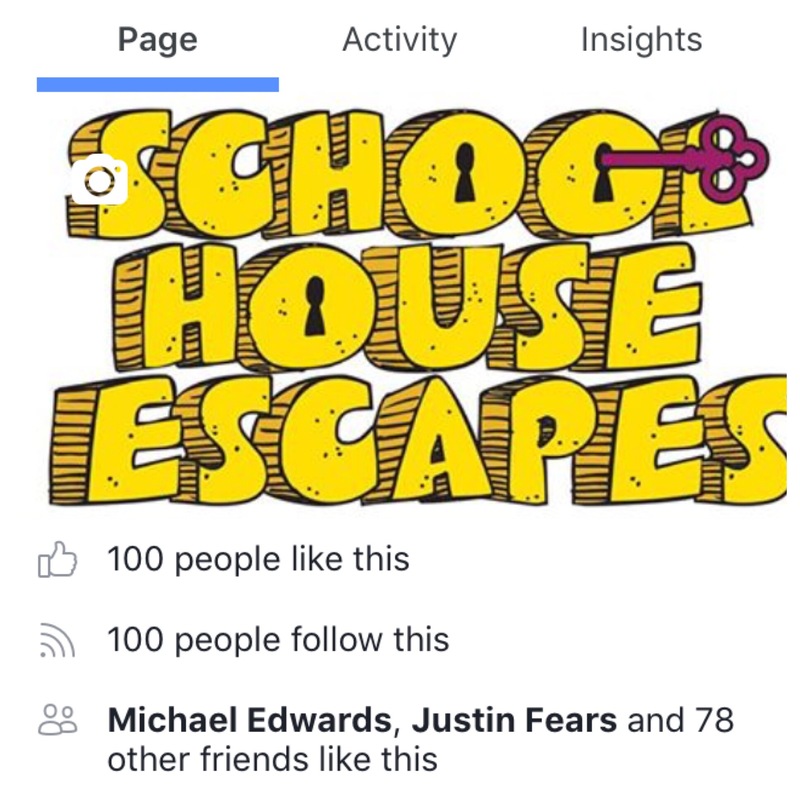 The nice thing about haunted houses is that they appeal to a wide age and geographical demographic, so in those days, I wasn’t able to count to ten before getting my first 1,000 followers; they clicked “like” almost as soon as I made a social media page public. Now that I have delved into the escape room industry, though, things move slower. Interest is different. 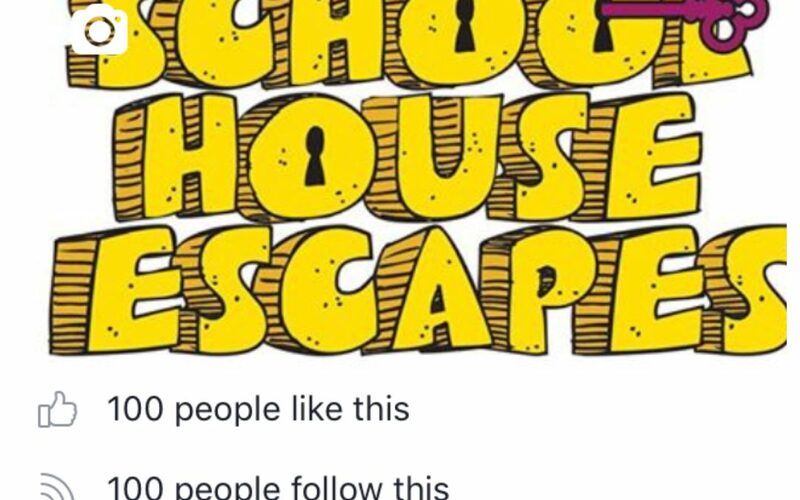 And even within this niche industry, Schoolhouse Escapes is niche. Don’t get me wrong–this company attracts a wide demographic, too, but they are probably in their bedrooms playing video games, napping, or swimming with their floaties in their backyard while eating PB&Js. So I target their teachers–or even their bosses, the administrators. And while we are happy to travel to Temecula (shout-out to Springs Charter Schools! ), I’m hearing whispers that our local area has plans to keep us busy all next year. And that takes me to the point of this post. Today we reached a milestone: 100 followers on our Facebook business page. Before everyone starts popping the champagne, realize that this IS an actual cause for a celebration because of where this company was a year ago (non-existent). These are potentially 100 people who have connections to local schools here that may want to host an on-campus field trip. But… it is also humbling for me, as I found myself initially embarrassed that we have only 100 followers before snapping out of my egotistical haze and becoming grateful for each one. And that, essentially, is the platform for this company: gratitude. We have a wonderful, innovative, FUN product, I have the greatest people working with me, and in half of a year, we took more reservations than we thought we’d get in our entire second year of business. 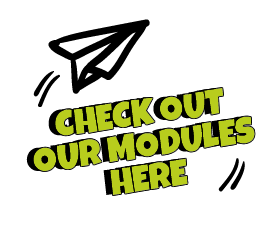 We have had to write more games and complete modules far, far faster than we ever dreamed, and have even gotten to the point of hiring more leads and resetters. We were taking reservations for entire schools while we were still in the starting blocks. No!–while we were still warming up! And, like our Facebook followers, we got those reservations all word of mouth. So, while social media is helpful in conveying this company’s personality and exhibiting some of our cool gadgets, I’m realizing now that this isn’t the same type of business to which I am accustomed because it doesn’t rely on immediacy; it doesn’t matter that I have only 100 followers if my reservation book is full. Very nicely said! And gratitude is indeed the magic ingredient that opens the doors to our success. All the best on your way to 1000! Thank you, David! So good of you to stop by!!! 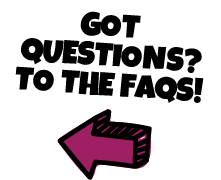 Sign up for our newsletter to receive the latest news and information on our programs. We won't share, sell, or give away your info, promise! But we will send you the occasional cool thing and lots of random fun stuff! Success! Please check your inbox for a confirmation email! © 2018-2019 Schoolhouse Escapes. All rights reserved. Design & Development by JSD.